To change the roles for a user, do the procedure in this topic. 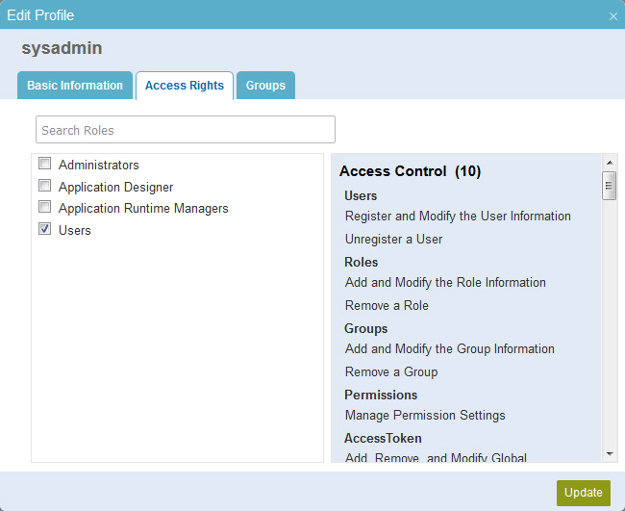 In the Manage Center, click Access Control > Users. On the Users screen, click Expand for your user. On the Edit Profile screen, click the Access Rights tab. On the Access Rights tab, select the user's roles.